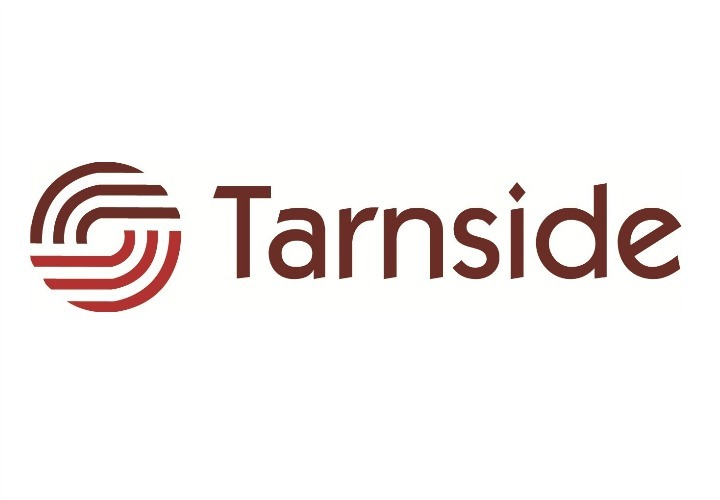 AIM Associate Suppliers – Tarnside Consulting – work with charities to help them fundraise effectively. In this article, they offer thoughts on how museums can develop a compelling proposal for charitable foundations. Charitable trusts receive many times more applications than they can ever fund: to be successful you will need to do much more than meet criteria. One document setting out your plans and why the money is needed will finesse your core arguments and streamline fundraising. Even if you will eventually need different documents, or to fill in forms, producing one core document offers many benefits: strengthened arguments, identified weaknesses, and some supporters on board. Put simply, a Case for Support needs to be a memorable story that appeals to hearts and mind. Trust fundraising is a competitive business and it’s more than likely your application will be judged alongside 20 or 30 other good proposals, so it needs to do more than meet the guidance. Does this solve a problem? How does it make the world better? Is it cost-effective? Will we get more bang for our buck here, or in the next proposal? Will it be delivered well? Can we trust these people to do it effectively? The Case for Support, therefore, needs to answer these questions, emphatically. Speak directly and honestly, using clear language and an active voice. Avoid the passive tense and fancy terms: “We are working hard to raise the money” sounds real: “external finance is being sought in a range of ways” is lifeless. Convey passion for your plans, and the hard work and expertise that will deliver real impact and change. Make sure it’s a good read and a memorable tale. We often remember trivial details long after the rest fades away. Nowhere has more to offer here than independent museums: so, if you have to work your renovations around the local adder population, or have to use oak to guard against witchcraft, do say. It will make someone’s morning. Conversely, don’t repeat yourself or use ‘so what’ statements. If it’s an important part of our heritage say why: don’t just write ‘an important part of our heritage’ throughout the document. It’s unlikely that trustees of a charity that focusses its work on, say, education or heritage, doubt education or heritage are important. Tell them something new. Colleagues: assuming you’ve incorporated the views of all those involved, ask those beyond this group for thoughts. Listen, and take on board those thoughts that make sense. They may be able to make links to work beyond this project or offer experience of similar projects elsewhere. People unconnected: asking people who aren’t familiar with your organisation, nor its plans, enables you to understand whether the document is clear enough. It is hard to understand this yourself, when you’re very close to a project. Ask them if they’d consider giving to it. If not, why? Potential funders: if there is someone in your network who already supports you, or who gives to charities more widely, ask them for their advice. Emphasise you’re asking for advice at this stage. They live on the other side, reading these all the time, so they’ll have a different view. At the least, they’ll identify weaknesses before your target funders do – at the most they might offer support or open doors, speaking to people they know who might be able to help. This process should have clarified ideas, identified any holes in the proposal, and started a process of networking. This should allow you to revise the document where necessary and follow up any hints or introductions brought up by those with whom you consult. Layout the document well, so it looks appealing, clear and eye-catching. In a competitive field, yours ought to jump off the screen or out of the pile of board papers. People will be reading many documents one after another, so it should be as easy as possible for them to glean the key points. A carefully executed proposal will indicate volumes to a potential funder. White space: break it up, so there’s plenty of space around text and sections; keep paragraphs modest and use bullet points where possible so outcomes are clear. If you need to include detail or data likely to seem impenetrable or which will make for long paragraphs, put it elsewhere. References should go in footnotes and any other chunks of information can go in appendices. Headers and subheaders: people will be reviewing at speed so make use of these so they can find relevant sections swiftly. Keep sections on one page where possible: if there’s a final section on the other side of the page, people will miss it. Images: use these to support your points, and always use the caption to emphasise the message (so ‘one of the 57 school groups who explored our collections this year as part of our pioneering Young Curator programme’ not ‘school group in museum’). Depending on the route you take, you may need to fill in some long forms, develop one or two proposals to a particular length and format, and have one or more versions of this key document. However, getting a first version right will save endless time later on in the project. The process of clarifying your thinking and strengthening your arguments will have taken your thinking further and won you some allies along the way. Best of luck with your applications! If it still feels challenging, drop us a line or pick up the phone: we’d be pleased to discuss projects with AIM members. Tarnside helps charities fundraise effectively so they can make good things happen. We have worked extensively with museums, galleries and heritage sites, delivering everything from small-scale trust fundraising through to £90m capital appeals. Regardless of the scale of the project we work with integrity, empathy and humour and ensure we deliver a cost-effective, tailored solution. Recent clients include Auckland Castle Trust, and the Bunyan Museum. We’re always happy to discuss how we might help museums and galleries increase their ongoing fundraising, think how best to approach a major challenge or capital appeal, or look at strategic change. For AIM members looking to use grant funding to deliver fundraising or training in this area, we’d be delighted to develop a package to suit funds and requirements. Our Trust Fundraising service offers economical support to charities, helping them secure funding for activities or projects. Numerous clients have secured substantial new funds for community programmes, core costs and research. See more on this and our other services here.